We arrived here yesterday after travelling most of the day. I'm in the South Island!!! 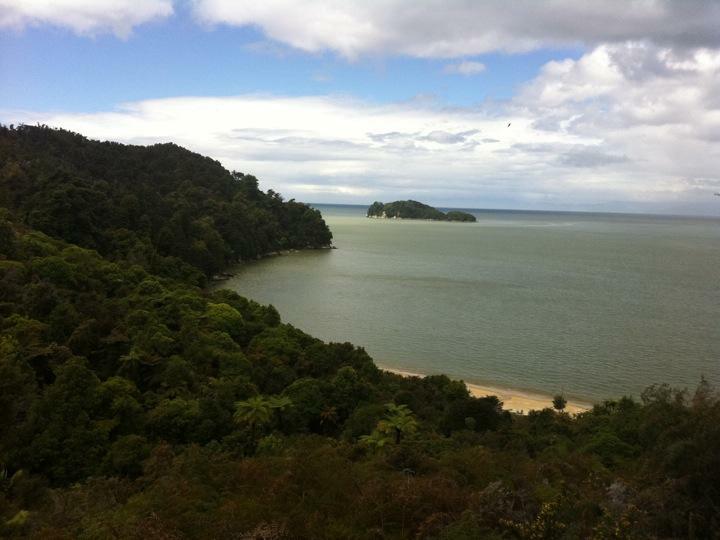 Abel Tasman is a national park and has the most amount of sunshine out of anywhere in NZ. We are staying here for two nights as there loads of activities to do here. Last night we spent most of our time killing Mosquitos in our room, I'm pretty sure I killed about 40 without exaggeration! Today we went for a walk through the national park, more walks! I don't think my muscles can take it! Tonight we are just going to relax and we will be on the road again early tomorrow.